Back when I edited the first two Black Lizard anthologies (early 1990s) I got Harry's phone number and gave him a call. I told him I wanted to reprint a couple of his stories. He sent me about sixty of them. I got to know him over the course of six or seven long phone calls. Very nice guy and very happy that Barry Gifford was reprinting several of his novels. Thanks for this post. Harry was indeed a really nice guy. I wonder about the history of ANY WOMAN HE WANTED since it was originally published by Beacon under his Whit Harrison pseudonym. Maybe it was intended for a better market but didn't sell there. New improved Gorman? Is that the same make and model as Ed Gorman? I've read and enjoyed Whittington's recollections of life as a writer. I also think it would have been nice had he written more Mike Ballard books. Thanks to Barry Gifford, Black Lizard 280 Steps, and all the fine contemporary writers who wrote new introductions to Whititngton's books. Bill, ANY WOMAN HE WANTED just blew my socks off. Ed Gorman's introduction to the new 280 Steps edition of the novel suggests that the book did not have a straightforward publishing history. Too bad; it's a tremendous book. Again, no shock after reading his recollections that he turned to have been a nice guy. He came across as good-humored, level-head, a real mensch. My memories are vague, but this might be the book that Harry told me was written as a sequel to BRUTE IN BRASS and rejected by Gold Medal. Bill, that is more or less the story that Ed tells in his introduction, expressing amazement that Gold Medal had rejected the book. I share that amazement. Okay, maybe my memory's not failing, after all. "This is a swift, angry, melancholy novel, another appearance of the Whittington protagonist described in Wilson’s fine piece. The mystery here is why Gold Medal rejected it." I re-read this one tonight. Great stuff. My bet would be that the ending is different from the original manuscript. The last few paragraphs just don't ring true at all. Bill, my post danced deliberately around the question of the ending. That ending is so odd, and so at odds with what had gone before, that I almost literally laughed. I can imagine Whittington rolling his eyes at the joke. Meanwhile, I read Brute in Brass last night. 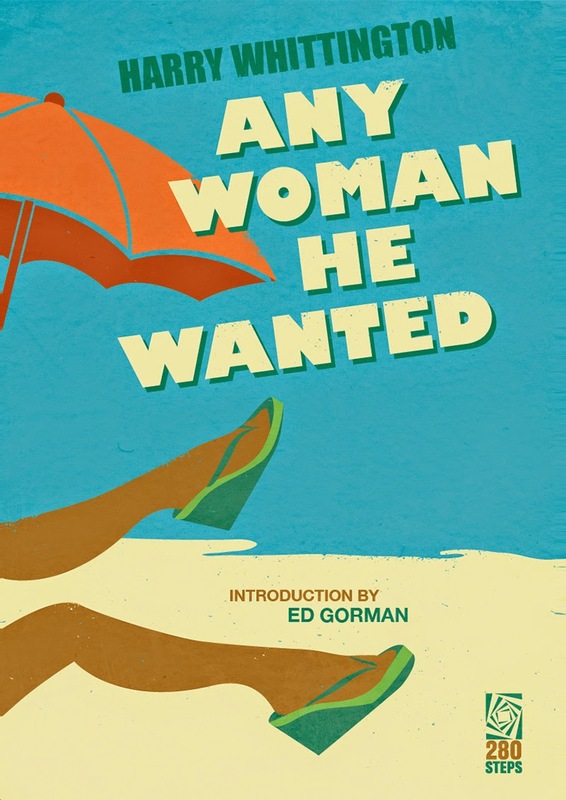 I liked is a lot, but Any Woman He Wanted remains my favorite four-plus books into my career as a Whittington reader. I wonder if Beacon demanded endings like that. It's so odd that it's as if Whittington didn't even write it. I'd love to see his original ending for the book. We must keep that in mind as a topic for future discussion. It could open the way a consideration of social mores at the time and of the practices at various publishing houses. I wonder if the original ending exists. But as weird as the published ending is, what went before is so good, that anyone reading this should read the novel.